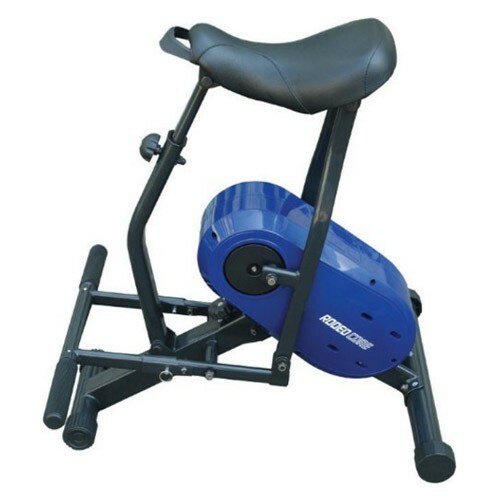 Core Fitness Exerciser Trainer BUY Horse Fitness Exerciser, Rodeo Fitness Exerciser, Horse Fitness Trainer, Rodeo Fitness Trainer, Abdominal Fitness Trainer, 82763, Abdominal Exerciser. Core Fitness Exerciser Trainer is an exerciser that requires no electricity to operate. This Compact Core Exerciser simulates cantering on a horse to strengthen and tone core abdominal muscles. Serving as a Horse Fitness Exerciser Trainer, the Core Fitness Exercise Trainer can be used anywhere since it does not require a power source. The Core Fitness Exercise Trainer weighs half as much as many core trainers and is easily moved from room to room or stowed between workouts. The seat and footrest can be raised or lower to accommodate individual needs. 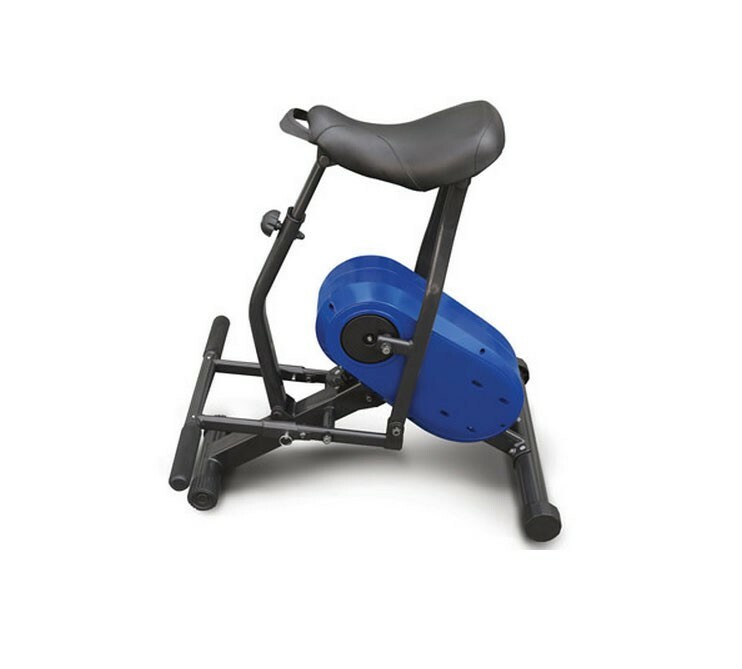 This Rodeo Fitness Exerciser allows the individual to sit on the padded saddle and rest their feet on a rubberized bar. The exerciser begins their fitness program by shifting their weight backward to put the Core Fitness Exerciser Trainer 's drivewheel in motion. 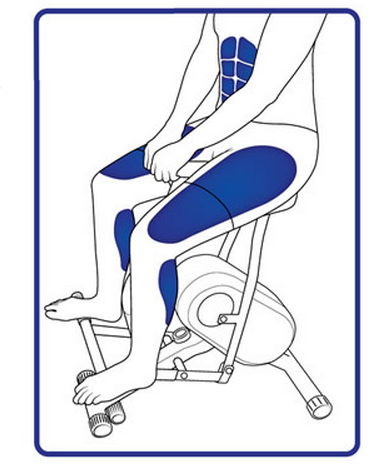 As the saddle rotates at a moderate 40 rpm or less, it requires the rider to engage lumbar muscles, abs, glutes, and thighs, building core strength to help prevent back injuries and improve balance and posture. A 10-minute session can burn as many calories as 200 situps or a one-hour walk. Simulates cantering on a horse to strengthen and tone core muscles. Core Fitness Horse Rodeo Trainer Product Numbers: 82763. The Rodeo is a nice product and I'm happy with it. It seems sturdy and well constructed. As was noted in the many reviews I read before purchasing, it could use more height adjustment and the seat is brutal! Luckily, I'm short and I've managed to pad the seat enough to avoid bloodshed. My wife and I got this exerciser to tighten up our core muscles. It is easy to ride and we are enjoying it. I bought my daughter and daughter-in-law one each, then I decided I needed a Rodeo Exerciser also! We all three love them. I find exercise machines to be tedious and don't enjoy being on treadmills, elliptical machines, rowing machines, or stationary bikes. This one I like and will stick with. The back-and-forth leaning motion is not boring or unpleasant and I feel like all my core muscles are getting a good workout. Though I do feel somewhat self-conscious when I'm on it and would not want anyone watching me as I use it. This equestrian trainer keeps me fit and in shape throughout the year. Just a few minutes each day keeps the fat off. When the riding season is over, this Rodeo Horse Exerciser Trainer keeps me in good riding condition for when the season starts back up. I use to get so sore every year when I started back to riding and now my soreness at the beginning of the season is minimized. Unfortunately, it does replace a real riding experience.